Master Sgt. 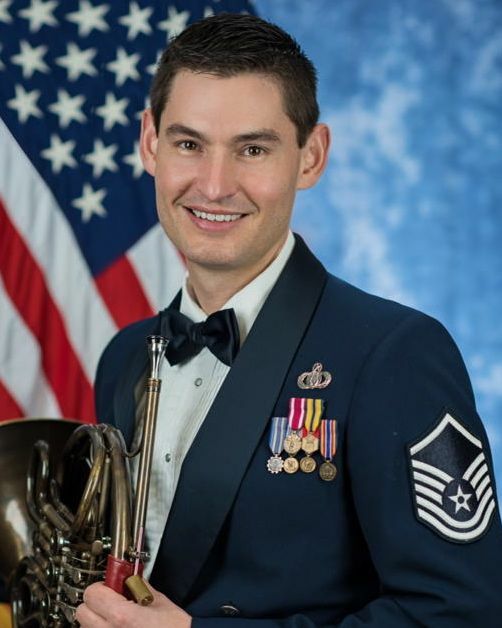 Brett Miller, a Boardman native and Youngstown State University graduate, will perform for a hometown audience Thursday, Oct. 27 at Stambaugh Auditorium as part of a 10-day U.S. Air Force Concert Band and Singing Sergeants concert tour. Miller, who also holds a master’s degree from Indiana University and a doctorate from the University of Maryland, is a prolific composer. He has published more than 30 works for various brass solo instruments and chamber ensembles. Highlights of his career with the Air Force Concert Band include playing for the funerals of Presidents Ronald W. Reagan and Gerald R. Ford, the inaugurals for Presidents George W. Bush and Barack Obama, and White House arrival ceremonies for Queen Elizabeth II and the Prime Ministers of Japan, China and the UK. The Air Force Band, which marks its 75th anniversary this year, will perform eight concerts in Ohio, with other stops in Pennsylvania, in a community relations tour scheduled for Oct. 20 to 27. The Youngstown concert, set for 7:30 p.m. Thursday, Oct. 27, is the final event in the series. All the concerts are free and open to public. For more information, contact the Stambaugh Auditorium box office, 330-259-0555, or e-mail boxoffice@stambaughauditorium.com.